The Spending Data Handbook is addressed to people and organisations who want to use and understand government budgets and spending data in their work. These groups may include government oversight and accountability groups, issue oriented advocacy organisations, journalists covering the latest round of budget cuts or austerity measures, or citizens who just want to inform themselves on what their government is spending. The truth is that for many countries, it's never been easier to access the underlying data relating to government budgets and spending and the expectations have never been higher for governments to release this information in a timely manner. But once you've got the information, making sense of it can be daunting. Irrespective of which kind of user is approaching this data, they all have one thing in common: they need to manipulate, analyse and interpret data in their work. Increasingly, we are bombarded with statistics and figures from governments and political parties and it is the job of these organisations to scrutinise and fact-check them, as well as come up with alternative models and solutions. This requires timely, data driven analysis. If these groups think that "topic-driven analysis" can drive positive change within governments, there is another group at whom this book is addressed: a strange race of people who self-identify as "civic hackers" and think that technology can be put to work to make government as easy, accessible and effortless for citizens as the internet. While these groups use data processing tools in their day to day lives, their focus is often on enabling others to act on information, rather than having a particular advocacy aim themselves (though there are a few notable exceptions to this rule). DON'T PANIC! This book uses a bit of technical vocabulary and terms that may be unfamiliar or used differently in different circles. Anything in italics such as hacker in this paragraph, can be found in the glossary at the back, it may not mean what you think. The range of topics tackled by these groups is so diverse that it would be impossible to address all of the questions and issues in one humble book. However, there are some overarching principles and helpful techniques which apply universally to working with government financial data and particularly, how technology might help to do so. This book aims to highlight areas where civic hackers, citizens, Civil Society Organisations (henceforth CSOs), and civil servants working in the field of government transparency could combine forces to achieve common aims. Like the Open Data Handbook (http://opendatahandbook.org/en/), it will be available as a continually evolving, open, educational resource on the internet. The book was started at a four day book sprint bringing together organisations from around the world from both a technical and a CSO background. Representatives from the Open Knowledge Foundation (UK), Fundar (Mexico), the Centre for Budget and Governance Accountability (India), the Public Interest Advocacy Centre (Bosnia and Herzegovina), and the Sunlight Foundation (US) contributed to the original document. The Book Sprint was facilitated by Adam Hyde, founder of the Book Sprint method and www.booksprints.net. As people who work with this data, we know better than anyone that a few years of a handful groups spreading awareness of spending data to the general public has not been sufficient for enacting earth-shattering change in the budgetary policies and processes in governments around the world. While it's true there's more spending data available than ever before, these efforts have proven to be superficial in some cases and the budget processes themselves have not become much more transparent or participatory. Conversely, the armchair auditors that were expected to emerge from the citizenry never really materialised. The notion of citizen auditors and engaging with citizens on an individual and collective basis still struggles to make headway. Clearly, we need to take solutions to this problem to the next level. More groups need to be more involved than ever before. What makes this work so tricky? The data people need is not available to the public (and to CSOs). Alternatively, the data is not available until after all the important decisions within government have been made. It's difficult to simplify data as complex as budgets and spending and make it accessible to a variety of audiences. The discourse on budgets and governance in the country is usually replete with jargon and technicalities. Even when compelling research findings are presented, there's no sense of urgency on the part of key policy actors. Advocacy with a range of stakeholders becomes important. There is duplication of efforts. One CSO may invest two weeks of its resources into painstakingly cleaning up and extracting data from a policy document published as a PDF while another will be doing exactly the same thing. Organizations doing this work often lack any kind of peer review process among similar groups. There may be skills gaps at many CSOs. Skill and knowledge sharing can help all of them achieve common goals. Translate it and customise it for your region. The examples which we include here are the ones which we know best, however, you may feel that in your area, there are topics or examples which would be more relevant. Take the book, remix it and add your own examples. Correct it and update it - treat it like a Wikipedia article, a living document. The only way that this book will stay relevant and factually correct is with the help of you and other people who know your stuff. Be inspired - we are filling the book with lots of examples of visualisation and data so inspire you and people you work with. We are now in a phase where many governments around the world are proactively publishing documents about what they plan to spend (budgets) and actually spend (spending data). Increasingly, this material is available on the internet, so that anybody can access it at any time. Still, too much of the information is released in the form of 'documents' rather than 'data'. Ideally we need both so that inforamtion can be analyzed, re-used and understood. This chapter is a quick overview of some of the raw inputs required for data-driven advocacy and how it works in practice. What do we mean by machine-readable data? When we speak about data, what we usually refer to is the notion of machine-readable (http://en.wikipedia.org/wiki/Machine-readable_data) data. Many of the formats most commonly used for policy papers and long-form reports published by most policy-making institutions are PDF files, Word documents, web pages or closed interactive infographics - do not structure information in a way that lends itself to automated analysis and extraction. Such documents are formatted for humans (or printers) to interpret, and it can be hard (and in many cases nearly impossible) for a machine to re-construct the elements in the presentation. Other formats, such as Excel and CSV files contain a higher level of structured information. For example, in an Excel file you can mark a number of cells and easily calculate their sum. Even more exotic and useful file formats, such as XML documents, JSON APIs or Shapefiles may not have easy-to-use viewer applications. You can think of them as the glue that connects different systems on the web, so that different databases can work together in a seamless fashion. Why do CSOs need it? What asking for machine-readable bulk data means for CSOs is simple: you won't have to spend a lot of time manually extracting data from reports into spreadsheets to be able to filter, sort and analyse it - a process which is both time-consuming and can introduce errors. Is the government's data published in a machine-readable format? E.g. CSV, XML, JSON. While there is nothing wrong with publishing a PDF to support a data release (in fact it is often nice to have a nicely-laid out document to cross reference and sanity-check data) it shouldn't be the only thing published and if you are asking for a policy document, ask for the underlying data in a spreadsheet so you can check the numbers. How is the data that is being published actually used internally by governments? Do some sanity checks on the minimum and maximum values of different columns to make sure they fall into the documented ranges and don't seem out of place. Do you see negative values when you don't think you should? Negative values usually mean money owed. Is the structure of the data the same across years? If not is there a description of how it changes? It never hurts to contact the publisher and ask questions about the change and why it occurred. The publisher may have their name and contact details on the report or webpage. If there is no named contact then call the department's enquires number or send a message to their email address asking to meet or discuss the data. How aggregated is the data? What is the number of real-world financial transactions that are expressed by a single line of the dataset you have? For budgets this will mostly be hard to tell - but with transactional expenditure you want to make sure that the data is fairly disaggregated. Ideally, each entry represents a transaction - but even if this isn't true you'll still want to ensure the number is not in the tens or hundreds of thousands (e.g. government programmes as a whole). Ask for reference data. If your budget or spending data is augmented with reference data, make sure you have access to it. This might include functional or category codes on budget line items, location codes for describing recipient location, or codes that indicate the status of the record. Ask also for the guidelines people were given when creating the dataset. This will make it easier to understand what is included within the data, e.g. are the numbers in thousands / millions. Final tip: if the data you want is not given then narrow your scope. Your chances of success will be higher if you narrow the scope of the data you're requesting from the government and you are specific. Government is the de facto keeper of all kinds of data, so parameters that narrow your request are always helpful. Is going out and provoking a riot the best way to get a Government to take onboard your message? There are alternatives: hit them with the data hammer instead! 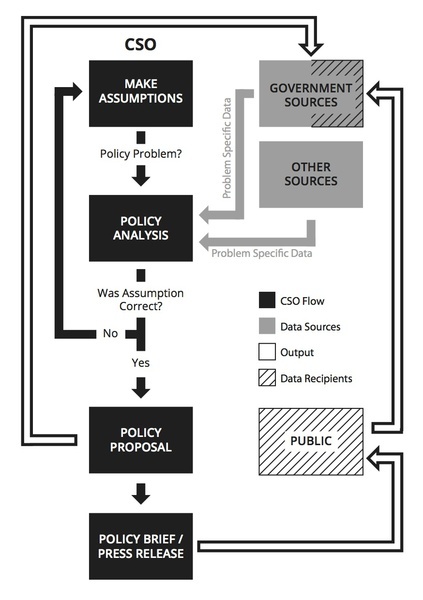 Making evidence-based policy proposals consists from three major phases: formulating your assumption, analysis (which often leads to re-formulating your assumption, and presenting your data in an engaging way in a policy proposal. 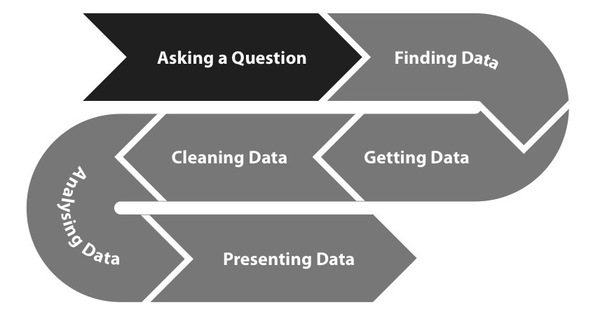 Asking the right question is key to getting the most out of your data. We all make assumptions, and our organisation may have a particular standpoint on a given issue. Our first task is always to formulate our assumptions and then interrogate them ferociously. Although we try to be rational in this process, our judgement is often influenced by our subjective goals, values, and beliefs. Sometimes, you'll need to revisit your assumptions several times over to ensure they are valid and you can back them up with data. Once you know your policy problem is definitely a problem, you can work to package it in a way that's appropriate for your target audience. Often our job is to act in the public interest by analysing conflicting assumptions and working out which one is more valid. For example, in Greece, Spain, and many other European countries people protest almost everyday as the Government cuts spending to bring down its budget deficit. If the Goverment wanted to keep its current level of spending, but increased taxes to increase its revenue, different citizens groups would still protest depending on which taxes are to be increased. In any case, there will always be more than one interpretation of any Government policy, and interested side to support it, or not. Once we have a well defined policy problem, specific goals, or results different stakeholders are trying to achieve, and corresponding instruments they are using in this process, we may systematically search for the specific data needed to create our own policy proposals. This data can be obtained either from the Government, some other sources e.g. 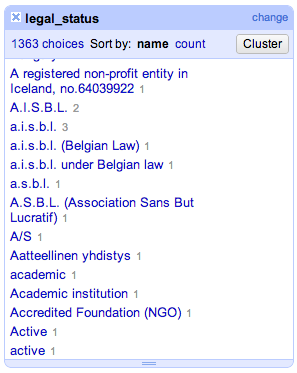 academic journals, private companies, or generated by ourselves. When data is gathered we will use a specific methodology to analyze it, and based on this analysis we will approve or reject our assumptions. If the assumption is rejected, based on our findings we will have to make the new assumption, and start the process from the beginning. If our assumption is approved, we will use our results to make a policy proposal to the Government. For CSOs it is important to recognize who is a decision maker, hence, who you should be targeting with your policy proposal. Policy proposals should be methodologically well structured, evidence-based, open for debate, and scientificaly evaluated. Governments will seldom take our policy proposals as their own policymaking, but may actually change its course of action, get new insights, views, and understanding of the subject. We may also use policy briefs to approach Government officials, or press releases to get the attention of the public. The influence CSOs have on government policy comes from a wide and varied set of activities. These can range from producing a widely shared dataset or infographic which subtly influences the mood of policy makers, to more targeted CSO advocacy and lobbying on issues they are experts. The Fish Subsidies group (http://fishsubsidy.org) are a nice example of a CSO engaged in targeted activites. Having collected a comprehensive set of data on Fishing subsidies paid under the European Union’s common fisheries policy and they break this down into payments for every EU member state, and then complemented this with activites of fishing. They have produced a report (http://is.gd/XYPgq5) assessing the environmental and social impacts of the Financial Instrument for Fisheries Guidance between 2000 and 2006. This extensive document fed directly into the EU political decision making process. As you look into a new, data-driven project, you'll find it easy to imagine all the analysis and comparisons that could be done to prove a particular point or to explore some area of government activity. As you then look into the availability of data on a particular topic, disillusionment will quickly set in: information may be hard to find, unstructured or just not available to the public at all. As you search for data, there are a number of possible techniques you may want to investigate. Some are based on the governments cooperation while others use technology to bridge the gap between how information is shared and what is necessary for a data-driven advocacy project. An increasing number of governments have accepted the need for pro-active transparency. When releasing open data, governments commit to making machine-readable information available on the web, in a form that enables anyone to use, re-use and re-distribute the data without legal or technical restrictions. Such releases should happen in a timely manner and include detailed, disaggregated data. Many countries have set up dedicated open data portals which provide easy access to all published datasets and relevant metadata (i.e. information about when a dataset was last updated, who published it and where documentation regarding format and contents can be found). The benefit of using open data when it's available includes the ease of access, but also usually a more authoritative base for any further analysis. In some cases, open data is provided through an application programming interface (API), often a web-based method for retrieving, searching or even updating the available information dynamically. APIs provide up-to-date data in a granular and filtered form, removing the need to repeatedly process and update source files. A common use case for APIs is relatively time-sensitive information, such as procurement calls and contracts which are released every day. In the UK, BusinessLink (http://www.contractsfinder.businesslink.gov.uk/data-feed.aspx) provides a number of data feeds which contain information about procurement notices. Similarly, the USASpending portal provides a set of APIs that can be used to retrieve up-to-date grants information for the US federal government (http://usaspending.gov/data). 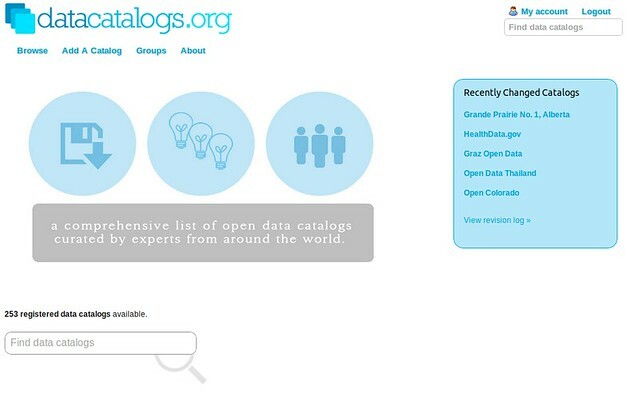 If you are looking for a list of data catalogs from around the world, DataCatalogs.org is curated by experts in this area from around the world. Search for your country and see what you find. Even before the rise of open data, many countries decided to increase the transparency of their governments by introducing freedom of information (FoI) legislation. Such laws enable every citizen to request documents and other material from parts of the government which do not merit special protection (e.g. due to concerns over privacy, national security or commercial confidentiality). Journalists, activists and CSOs have long had channels of acquiring information. Sometimes, having a good relationship with a press-officer or a civil servant is good enough and making a formal request for information is unnecessary (your friendly press-officer may even feel slightly offended if you don't ask them nicely first). FoIs generate a lot of paperwork (hence grumpy civil servants), so if you do have the contacts, it may be a good idea to ask nicely first! Freedom of Information requests often require some degree of preparation, so that the documents or databases that are requested are clearly identified, you know which department or unit is in charge of it and you can address possible concerns over privacy or commercial confidentiality in your request. While freedom of information legislation is in force in many countries, it was often made before the need for structured data became apparent - thus many laws do not allow the citizen to specify a particular format. Many governments choose to release information on paper rather than in a structured, digital form, making the data processing step more painful. Still, the legally binding character of freedom of information requests often makes them an invaluable tool in the process of gaining access to financial data. FoI requests may be necessary when you want to get more detail on the projects that government money is funding. 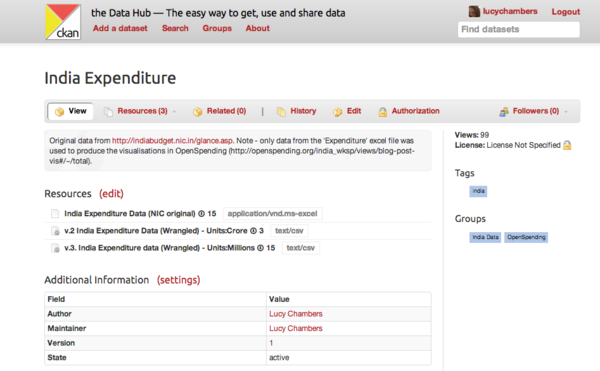 Often the transactional spending data released will include only a brief description of the project, if at all. To get more information about it, you might need to submit an FoI request. For instance, if you have the high level payment information for a contract that includes the recipient, location and total amount, but you want to know the details of the contract deliverables, you will probably need to submit an FoI request for the full contract. 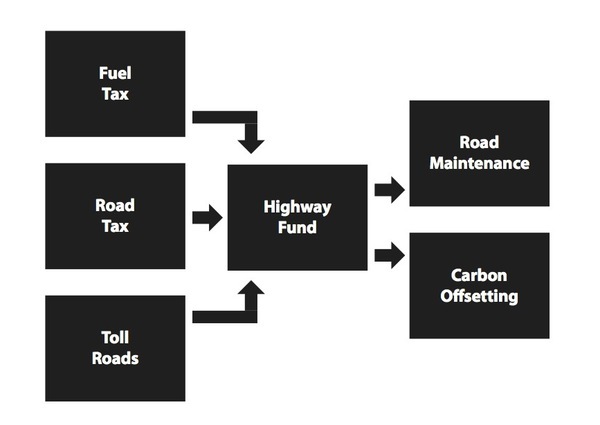 A good example of this process is the Sunlight Foundation's request for information on the Airport Improvement Program in the United States. The program accepts applications from airports around the country for infrastructure improvement grants, such as repaving a runway. Each project is assigned a safety priority rating and is prioritized in a queue. The high level spending information for this program was available in USASpending.gov, but since the priority ratings are specific to this program and not spending data in general, they were not included in that dataset. The Sunlight Foundation submitted a FoI request for the full dataset, including the priority ratings. After that, they were able to determine when airports with low priority projects were getting money, and how often. So the lesson is, if you see some interesting patterns in your high level spending data, don't be afraid to dig deeper and ask for more detailed program information. Wanting to submit a request, but not sure where to start, who to address your request to or how to write it? Access Info (http://www.access-info.org/) are an organisation who work to help people obtain the information they require from the public bodies that hold it. They have also produced a toolkit (http://www.legalleaks.info/toolkit.html) to using FoIs. It's primarily aimed at Journalists, but most of the tips are equally relevant for CSOs. Unlike open data or freedom of information requests, data scraping does not rely on the cooperation of government authorities for acquiring machine-readable documents. Scraping refers to the process of transforming unstructured documents - online database interfaces, PDF files or even printed documents into a more structured form (see section below on Optical Character Recognition for more tips on how to do this). Many tools and techniques enable such refinement by re-interpreting documents generated for humans into a more structured form which can be analysed, aggregated and distributed in new ways. While there is an increasing number of easy-to-use scraping tools which do not require much technical knowledge, more complex processes - such as the automated scraping of thousands or millions of web sites or the mass interpretation of PDF files require some programming so that the process can be fully automated and produce reliable results. In some cases, the only way to gain access to a set of figures is through the digitization of printed material. While scanners and optical character recognition (OCR) software can be used to import such documents, the high cost and low data quality generated through this approach often it an unattractive one. A very accessible guide to scraping has been published (https://leanpub.com/scrapingforjournalists). Again, it brands itself at journalists (they're getting a little spoiled aren't they? ), but scraping is scraping and so a worthwhile read for CSOs. Another great source for tutorials, as well as being a tool itself to help with scraping is ScraperWiki. Using Scraperwiki (https://scraperwiki.com/) has the additional benefit of anything that you scrape being available to others, as most of the scraped data goes into a public data store. When you deal with scanned documents, the crucial step in the extraction process is to have the computer attempt to recognize any characters - letters, numbers and other signs. Optical character recognition (OCR) software is built to do this, accepting scanned pictures and PDF documents as an input. There are both commercial software products for OCR (such as ABBYY FineReader, http://finereader.abbyy.com/), and some open-source software packages, such as Google's Tesseract (http://code.google.com/p/tesseract-ocr/). In general, the quality of all automatic recognition is limited, and you should make sure to cross check any numbers coming from scanned material against the printed documents. As you retrieve data from the government (or other sources), it's easy to just consider the websites it has been released on as a permanent resource. Still, experience has shown that data does go away: whether it is through government re-designing its web sites, new policies that retract transparency rules or simple system failures. At the same time, downloading complete copies of web sites - a process called mirroring - is a fairly well-established technique that can easily be deployed by civil society organisations. Mirroring involves an automated computer program (for a list see: http://en.wikipedia.org/wiki/Web_crawler) harvesting all the web pages from a specified web page, e.g. a ministry home page. In most cases, it is also possible to find old versions of web sites via the Internet Archive's Wayback machine (http://archive.org/web/web.php), a project that aims to create up-to-date copies of all public web sites and archive them forever. As you acquire government spending information, you will notice that such data often has many inconsistencies: program names are used inconsistently, financial amounts will be stated in badly formatted numbers, while some data may not be usable at all due to file corruptions. In short: data always needs to be cleaned and processed. In fact, processing, augmenting and cleaning the data is very likely to be the most time- and labour-intensive aspect of your project. 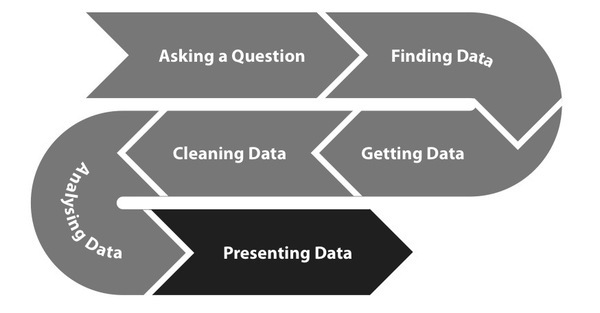 While there are many different types of data, almost all processing can be expressed as a set of incremental stages. The most common stages include data acquisition, extraction, cleaning, transformation, integration, analysis and presentation. Of course, with many smaller projects, not each of these stages may be necessary. Acquisition describes gaining access to data, either through any of the methods mentioned above or by generating fresh data, e.g through a survey or observations. In the extraction stage, data is converted from whatever input format has been acquired (e.g. XLS files, PDFs or even plain text documents) into a form that can be used for further processing and analysis. This often involves loading data into a database system, such as MySQL or PostgreSQL. Cleaning and transforming the data often involves removing invalid records and translating all the columns to use a sane set of values. You may also combine two different datasets into a single table, remove duplicate entries or apply any number of other normalizations. Analysis of data to answer particular questions we will not describe in detail in the following chapters of this book. We presume that you are already the experts in working with your data and using e.g. economic models to answer your questions. The aspects of analysis which we do hope to cover here are automated and large-scale analysis, showing tips and tricks for getting and using data, and having a machine do a lot of the work, for example: network analysis or natural language processing. Presentation data only has impact when it is packaged in an appropriate way for the audiences it needs to aim at. As you model a data pipeline, it is important to take care that each step is well documented, granular and - if at all possible - automated. This is particularly true when processing more complex datasets, such as transactional government expenditure which has been scraped from a government website. Good documentation on data provenance (the origin and history of a dataset) can be compared to the chain of custody which is maintained for criminal investigations: each previous owner of a dataset must be identified, and they are held accountable for the processing and cleaning operations they have performed on the data. For Excel spreadsheets this would include writing down the steps taken in transforming the data, while advanced data tools (such as Open Refine, formerly Google Refine), often provide methods of exporting machine-readable data containing processing history. Any programs that have been written to process the data should be available when users access your end result and shared as open-source code on a public code sharing site such as GitHub. Documenting the transformations you perform on your data can be as simple as a detailed prose explanation and a series of spreadsheets that represent key, intermediate steps. But there are also a few products out there that are specifically geared towards helping you do this. Socrata is one platform that helps you perform transforms on spreadsheet-like data and share them with others easily. You can also use the Data Hub (pictured below), an open source platform that allows for several versions of a spreadsheet to be collected together into one dataset, and also auto-generates an API to boot. First, you want to start by finding all of the distinct ranges of values for the different columns in your dataset. You can accomplish this by using a database query language (such as SQL's DISTINCT), or by simply using the 'filter' property on a spreadsheet program. For example, if you have a spreadsheet with contracting data, and one column is 'Competed? ', you would expect the values to be 'yes' or 'no'. But if this spreadsheet is an amalgam of spreadsheet data from multiple users and departments, your values could vary among the following: 'Y', 'YES', 'yes', 1, 'True', 'T', 't', 'N', 'NO', 'no', 0, 'False', 'F', 'f', etc. Limiting all of these potential values to two clear options will make it easier to analyse the data, and also easier for those who follow in your footsteps. Especially with financial data, numbers can be formatted several different ways. For example, are your negative values represented with a '-' or placed inside '( )' or possibly even highlighted in red? Not all of these values will be easily read by a computer program (especially the color), so you'll want to pick something clear and consistent to convert all your negative values to (probably the negative sign). Is all your numerical data measured out in ones or is abbreviated in thousands? Especially with budget data, order of magnitude errors are not uncommon when one department thinks they're reporting in thousands or millions by default but others expand their data all the way to the ones place. Are some values in scientific notation (e.g. 10e3938)? Make sure all your values are consistent, otherwise your analysis could contain serious errors. 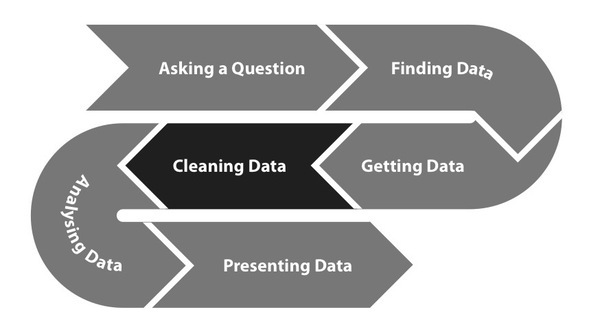 Data cleaning and data quality go hand in hand. You may find it helpful to conduct data quality tests after your analysis in order to measure your confidence in the data, or before to decide whether you want to do the analysis at all. 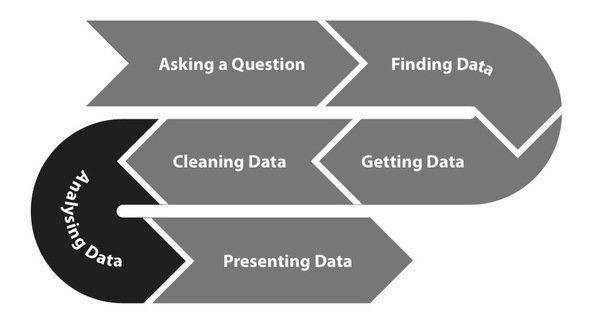 Data quality can mean a few different things but here or some key factors to consider. Is all your data there? If you have a time series of some data, do you have approximately the same number of rows for each year or are there major outliers? An extremely high or low number of rows that looks out of place may indicate duplicate or lost rows. Or it could indicate a change in how data was reported at that time. Are there values for each column where values are required (according to the documentation)? Does your dataset match up with other available data out there? This can be difficult to confirm, but it is often useful to employ a sampling methodology. Select a significant sample of your records (3-5%) and decide which values you can check for accuracy. If your data is transactional contract data, you could request the full contracts for your sample records and compare the structured data you have with the prose of the contract to confirm that it is correct. You can sometimes check contract and grant amounts from journalistic outlets and even company websites. Sometimes governments can lag behind in their reporting. Even if a dataset says it's for a specific time period, do you notice a long tail of records closer to the end of the time frame? If so, you may want to restrict your analysis to the subset of data where you have a healthy sampling. Some projects have gone beyond simple assessments of data quality to ensure confidence in the underlying result of a project, but are projects completely about data quality themselves! 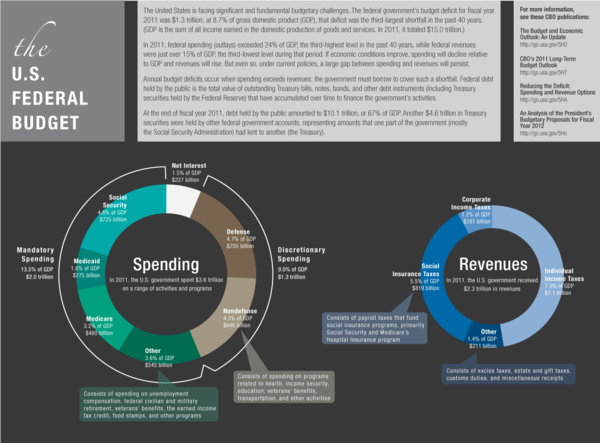 The Sunlight Foundation has run a yearly report called Clearspending (http://sunlightfoundation.com/clearspending/) for the past three years that assesses the quality of the data reported in the US federal spending dashboard, USASpending.gov. The results haven't been very good but have highlighted the need for data standardization and oversight of the data release process. As an even more thorough technique, little programs and tests can be written to check data validity along the processing pipeline by testing certain assumptions about each record in the dataset. If you do not have the option of creating such tests, you may still be able to create a spreadsheet in which you record known defects and issues with the data, including source files that did not open and inconsistent column values. The most powerful data quality tool is much more simple, though: sharing the data. Without access to your source data, others will have to trust your word blindly. Therefore, sharing both the source and processed forms of your dataset is essential to discussing data quality. One of the most powerful ways of making data more meaningful for analysis is to combine it with reference data and code sheets. Unlike transaction data - such as statistical time series or budget figures - reference data does not describe observations about reality - it merely contains additional details on category schemes, government programmes, persons, companies or geographies mentioned in the data. Some such schemes are also standardized beyond individual countries, such as the UN's classification of functions of government (COFOG) and the OECD DAC Sector codes (http://www.oecd.org/dac/aidstatistics/dacandcrscodelists.htm). Still, the large majority of governments use their own code sheets to allocate and classify expenditure. In such cases, it is often advisable to request access to the code list versions used internally by government, including revisions over time that may have changed how certain programmes were classified. Geographic identifiers are used to describe administrative boundaries or specific locations identified in a dataset. While some regional classifications (such as the EU NUTS) are released on the web, there is also an increasing number of open databases which contain geographic names - including geonames.org and the recently developed world.db. As you look into spending data that includes recipients outside the government, you'll find companies which act as suppliers to government, but also other types of entities including charities, associations, foreign governments, political parties and even individuals which act as recipients of direct assistance. Identifying such entities is notoriously hard, since the only information kept by government is often a simple name (which may not uniquely identify the beneficiary, for example "MS"). While most (if not all) countries maintain company registers which assign some type of unique identifier to a company, these databases are often not accessible in bulk and not used coherently across different parts of government. Alternative identifiers - such as tax identifiers and company IDs from private business information suppliers (such as Dun & Bradstreet in the US) - further complicate this process. As an alternative, open registries are beginning to compile organisational identifiers in a form that is easy to re-use and thus enables the sharing of databases which have been augmented with such information. OpenCorporates.com (http://opencorporates.com) is a startup that collects information from companies world-wide and provides a convenient API to match datasets with the list of known countries. The IATI project for aid transparency is working towards similar standards for other organisations, such as foreign governments and charities active in the development space. As you move into more advanced data projects, you may find yourself in a situation where a research project turns into an effort that involves coders, designing databases and web sites. It is important that you take a step back and realize that you are now running not just an advocacy effort, but also an IT project. Difficulties in finding qualified developers that want to contribute to your projects at a reasonable rate, as well as in the communication between CSO staff and developers. Clearly communicating the requirements for the software so that both non-technical and technical staff share a vision for the outcome of the project. The estimation of time and resources for particular tasks, especially how to handle projects that drastically overrun the timeframe and funding they were initially assigned. Evaluating the work of developers to ensure that the product that has been delivered is according to what has been agreed, especially in small projects with only a single coder or when working with external contractors. It is always going to be more costly and riskier to develop something from scratch than to customise something that already exists. You should make the software behind your projects open source. If many other organizations do the same, this allows code to be reused across jurisdictions. Not only does this ease the financial burden, but it helps create the expectation in populaces around the globe for the high quality engagement tools that their neighbouring country has access to. That's not to say you should never develop something new - just ask around first, and make sure that what you are asking is technically feasible. Purchasing software is more closely related to having a piece of clothing made than to buying chairs. You can give the designer a basic vision of what you would like, but you will always need to come back to make sure it really fits, and your thoughts may change when you see things in practice. If you have an arrangement with your tailor which allows you to first specify the general idea, and a couple of other appointments for fittings and trials, you'll probably end up with a better and more creative result than if you tried to design the whole thing and it was simply unveiled to you at the end. You'll also feel more in control and it may even be quicker to do design and implementation in parallel. Define the basic components of your project and prioritise them by their importance. As the developers start working on one of these chunks, you can then break it up into more specific tasks based on your evolved understanding of the project. A popular technique for this purpose are user stories, small narrative pieces that describe each problem: "As a [web site visitor] I want to [be able to see a supplier's contracts] so that I can [understand what services they provided to government]". The key to these stories is that they describe the actual user need, not the details of the solutions that you have envisaged. While you should of course discuss those with the developers as well, defining solutions is mainly the job of the developers, not the project manager. A saying amongst developers goes: "Walking on water and developing software from a specification are easy if both are frozen." As your software project is progressing you will likely realize that the specifications you have given need to be revised or extended. Yet by modifying the requirements you are essentially shifting the ground on which developers are executing - meaning they will have to stop their work to adjust. To prevent such changes from freezing all development, the process of introducing changes and additional requirements needs to be structured. Iterations are periods of a defined length - often two or four weeks - during which developers are tasked to execute a set of previously selected user stories or requirements. Before the iteration starts, developers have to pull in the work from a list of tasks (a so-called backlog) prepared by the project manager, committing themselves to delivering those tasks within the agreed period. Crucially, project managers are not allowed to extend or revise the scope of an iteration while it is ongoing (unless they want to declare it failed). This method ensures that changes are introduced in bulk and understood by the team. This approach mandates the opposite of the more common unstructured communication between managers and developers, e.g. emails with unsorted lists of change requests which tend to be ignored and lead to confusion. Whenever you consider an additional requirement, be sure to consider if it is realistic within the resources you have available. "Scope creep", the progressive extension of a project during its development, is a common cause of project failure. By becoming more and more ambitious, the project finally ends up with no usable product at all. To avoid scope creep, make sure to have a storage area for long-term ideas. Also make sure that developers accept additional tasks through a pull process, and not by having them pushed into their workflow. Make sure to budget a for ongoing maintenance after the end of your project. Who is going to guarantee that the servers stay online? Who is going to fix a typo? It is unlikely that your project will remain entirely static after its initial development, so you should have an explicit agreement with the developers regarding future support. It is also useful to collect feedback after the projects release to commission a small number of additional days when enough additional work has accumulated. Web designers typically produce designs and layouts for web pages, often initially in a graphics program like Adobe Photoshop. Most, but not all, web designers then translate their designs into web markup (HTML, CSS). Visualization designers develop graphics that represent quantitative information. A key distinction here is between non-interactive graphics (i.e. static images) and interactive visualizations, which often require some programming. 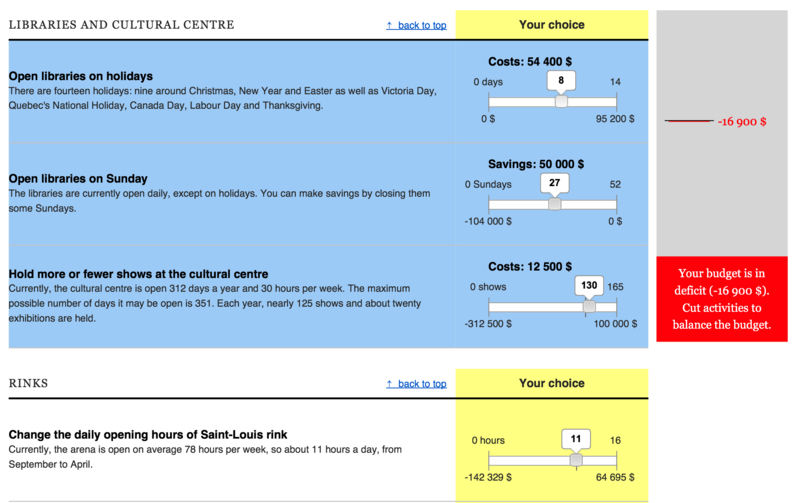 There are still very few designers who design interactive visualizations, so rates may be relatively high. Software developers are even more technical, developing backend software for data processing or acquisition. They are experienced in the use of database software (such as SQL databases) and programming languages such as Ruby, Python or Java. Data scientists and statisticians produce analysis based on large sets of data, detecting tendencies and outliers in the dataset. They are not usually expected to produce front-end applications, but may produce software in the process of analysing data. The easiest way to meet developers is through community meetups, such as hackdays. During such events, coders meet up to cooperatively develop prototypes of new software. To meet volunteer developers who can help you make sense and unleash the power of government spending and budgets, it's wortwhile to investigate events such as Random Hacks of Kindness (http://www.rhok.org), Data Kind (http://datakind.org/) and TechCamps (http://techcampglobal.org/). There are a few ways you can discover if there is a hackday in your area. One way is to search on Lanyrd (http://lanyrd.com/search/?q=hackday&context=future) or set up an account on that system and request that you are alerted when there is a hackday in your area. Another approach is join mailing lists of organisations that might help you find developers e.g. the Open Knowledge Foundation lists (http://lists.okfn.org/mailman/listinfo) or the Sunlight Labs mailing list (https://groups.google.com/forum/#!forum/sunlightlabs). It's impossible to give concrete guidelines on how much a project should cost. Developers' salaries are generally quite high for a country's average, but vary very strongly from country to country. Worried about your project spiraling out of control? We'd recommend agreeing on a price per iteration, and it may be a good idea to draw up a contract which allows you to break it off if you are not happy with the work at the end of an iteration. Plus, you can generally also find a friendly developer to glance over a quote from a company for a sanity check. While raw financial data is valuable just as a tool for research, analysis and investigation, it can also be directly presented to an audience in a wide variety of ways. Such presentations can take the form of press releases in which data is used to make an argument, interactive infographics which condense information to visually represent a key finding or even searchable on-line databases that allow each user to find spending in their neighbourhood. If you are reading this, you probably already have a fairly clear idea of the topic that you want to investigate and present. Still, it is useful to look at different ways of defining your subject. In some cases, you may merely want to give an overview of a particular area, e.g. 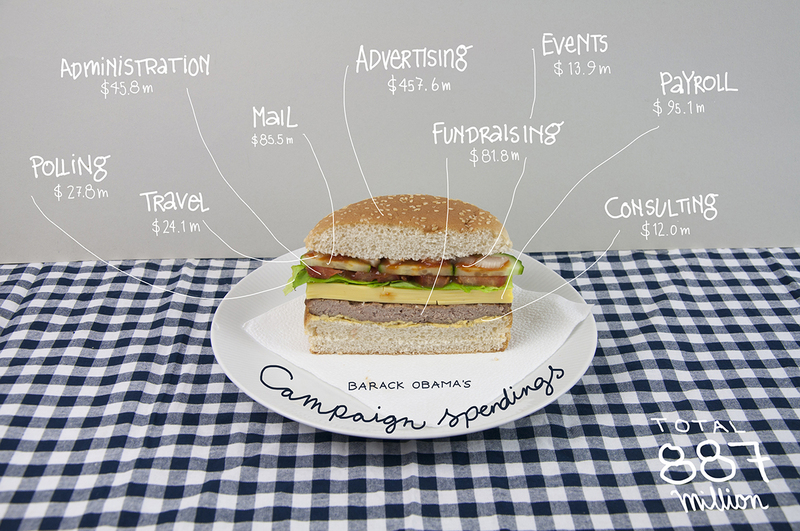 by showing the proportions of government spending which go into the various functions of government. In other cases you may have a particular hypothesis that you want to portray or a particular journalistic story that you mean to tell, such as a case of systemic corruption that becomes evident only as you contrast one department's spending patterns with that of another one. Sometimes there is a temptation to get lost in complexity. Using all the data and tools available to you to their full potential can force an almost endless amount of information onto our audiences. The benefit of doing so is limited, however: people will not understand the point that you are making, or, even worse, ignore you. At the same time, technology can also be used to do the opposite: focus in on the key points, hiding other detail. Selecting where to go into depth doesn't have to be the author's responsibility any longer, it can be a choice that the user of data-driven applications is empowered to make based on their own interests. The prerequisite for using technology to create a clear focus is answering the question: What is the core of what we mean to present, what is the essence of the narrative our project is intended to convey? As you focus the topical core of your project, you also need to think about the objectives of your project: is it intended to inform the general public about an aspect of government budgeting or spending practices? Are you making a specific case to government, e.g. by proposing a new policy which you have gathered evidence and developed arguments for? Your project can also serve as a forum for discussions, which would usually require you to facilitate the debate to maintain ongoing engagement. The objective may be to establish a network-based, collaborative effort, e.g. to build a community that may review documents released by the government or evaluate the conditions of public contracts. Such modes of engagement require extensive design to encourage users to contribute in a way which best matches their particular skills and interests. 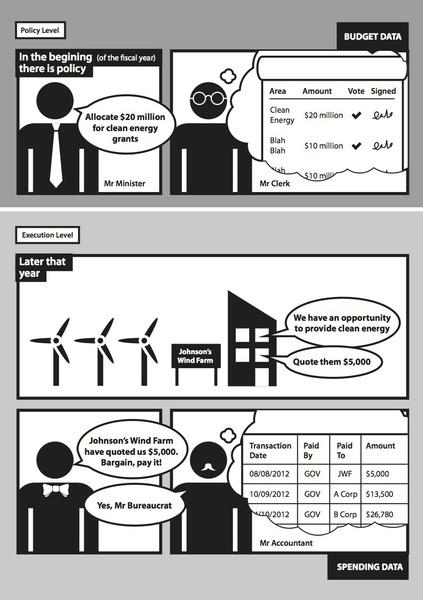 Some example of working with the public to collaboratively clean up financial data is Linked Gov (http://linkedgov.org/). This is a platform that will allow the public and civil servants to access and do small tasks that will clean government financial data. The efficiency of projects based on spending data depends heavily on how well you have defined and understood your audience. If your message is too general for a specialized audience, it will be ignored. At the same time, a complicated and very technical presentation will usually fail to address broader parts of the population. 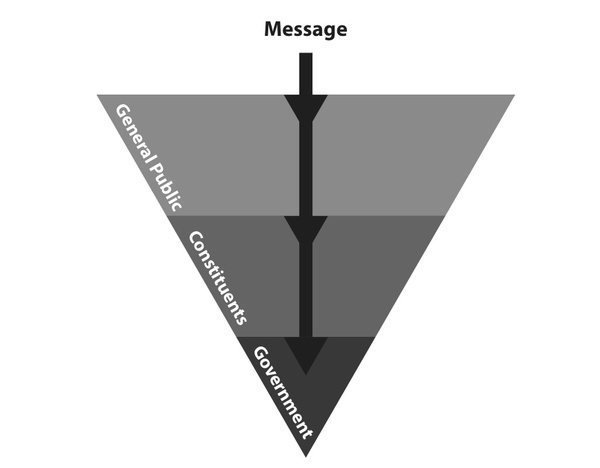 Whether it be that your main audience is a specific constituency, government officials, the general public or a combination of those, it is important that the media and methods you apply help to get the message(s) across to the audience that you are targeting. Is the purpose of your campaign to stimulate discussion amongst the general public? Unless your organization has exceedingly well-developed outreach channels, you will not usually be able to address the general public directly. Still, thanks to the social media and internet-based direct communication, many organizations can now contact and involve citizens who have shown some interest in their work directly. In cases where your main audience is the general public, simplicity is a must. It is necessary that the vast majority of people get a grasp of what you are trying to communicate. In these cases you may need to emphasize the visual presentation of the data that gets quickly and succinctly to the point, such as infographics. See the case study at the end of this chapter for how an organisation in Nigeria used Social Media to reach out to the general public. Unlike direct channels, broadcast and print media require you to first convince an intermediary of the relevance and quality of your message. Media are often the best channels to use when we want to create social pressure on governments to change some budget issue. This may include people and organizations with which you have previously cooperated or which are active in the same domain. Unlike the wider public, they are more likely to be interested not just in your conclusions, but also in the data and tools that you have used to reach your conclusions. Creating an open space for your community to discuss your work is essential in getting relevant feedback. When you need to reach to your constituency it may be necessary to provide a broader context, such as a full report including methodology, conclusions and possible paths of further discussion. Officials are often a target of your outreach, since they are in the position of actually deciding and implementing changes in policy. While they can be reached through public pressure and the media, your organization or some of its constituency may also choose to contact governments directly. In the case of trying to reach government officials, a balance of the previous approaches is very important. Meetings with government officials are rare and short-lived. Condense your main argument and supporting evidence into one page or less, and include a clear action that you want them to take. Obviously, on any given issue you may choose to involve any set of these groups, but it is still important to have a clear picture of who they are and what their incentives motivate them. Data is invaluable. To the uninformed person where information asymmetry thrives, access to data illuminates the path to facts and provokes emotions that trigger results. Nevertheless, poor handling of data puts valuable facts in an opaque structure that communicates nothing. 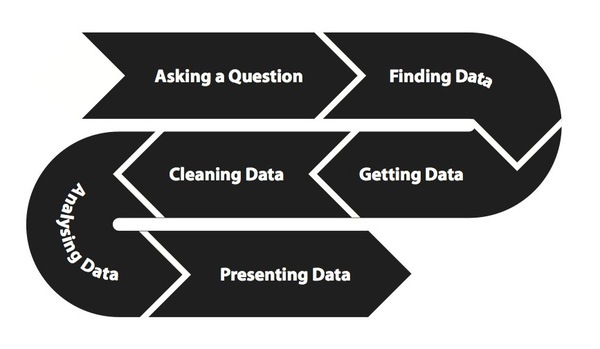 Data could be in a maze of thick document riddled with complex terms or iterations of figures that doesn’t connect the user. Not being able to promote discussion nor give provide contextual understanding, data may could be worthless. Nigeria returned to democracy in 1999 after lengthy years of military rule. Data under the barrel of the gun was an exclusive preserve of rulers as probing the facts behind data is taken as an affront to authority and strive to question the stained reputation of the junta. Civil servants were bound by the Official Secrets Act not to share government information hereby putting the citizens in the dark. Even after thirteen years of return to democracy, there is clearly a gap in accessing public data with some government officials still stricken with military era hangover. Data especially in terms of public expenditure communicates little to the larger sections of public who are not versed in financial accounting nor have requisite understanding to evaluate the complex arithmetic. BudgIT, creative start-up sees a huge opportunity in using creative data visualization to stimulate interests concerning public expenditure. Understanding the ubiquity of the mobile device within the Nigerian locality and the increasing number of Nigerians online, BudgIT sees the opportunity to engage Nigerians and explain public expenditure in a simpler way. This thrives on building engagement across all platforms, encouraging the community to action via NGOs and reaching out to everyone to promote citizen participation. This is about making public data a social object and building an extensive network that demands change. Singular Users: These are users who want information in simple and quick format. There are interested in data but not in a deeper scale of analyzing the content or probing further. A series of simple tweets is enough for them to retell the stories or interactive applications that give a snapshot. Closed Loop Users: A set of users who stimulate a discussion pattern, engage the data channel effectively to increase their knowledge of subject matter or challenge the assumptions of data. These set of users are adherents of the platform via social media, hence they ensure in building the platform through feedback systems or referral to their social connections. The Data Hog: This set of users want the raw datasets to rework visualization or do extensive analysis for personal or enterprise purposes. We simply give them the data for their definitive purposes. Across every society lies a literacy span and engaging every component is highly critical to the societal growth and stability. There is always a storyboard in every life that volumes of data can be matched with. People constantly want to be more informed especially concerning issues that they find difficult to understand. Engaging citizens is to take critical analysis of the target users at a time and itemize the possible profiles. A look at user profile demands a thorough analysis of their empathy, attention and insight towards the data available to them. What does the Nigerian citizen care about? Where is the information gap? How quickly can we reach out to them and place data in the storyboard of their lives? A critical understanding of the user’s psychology and the perceived response to the data is the first needed level of analysis. BudgIT’s immediate reach is to the average literate Nigerian connected to online forums and social media. Most online users amidst the array of interests in gaming, reading and sharing social connections within a limited timeframe will definitely need data in a brief and concise manner. After a snapshot of data either as a tweet or infographics, there’s an opportunity to build linked data on other platforms where the big picture can be set and interaction can be enhanced. <p >An important angle of visualization to us is understanding the data appreciation level of the users. Complex diagrams, superb infographics and aesthetic interactive applications might not convey the exact meaning to user based on his/her previous approach to data. Data vizualization needs to take into consideration how users can easily grasp the vizualized data and subject it to personal interpretation. A good visualization transfers knowledge and mostly important brings forth a story the user can easily connect with. Stimulating discussion around Trends: In engaging with users on public data, BudgIT keeps track of online and offline discussions and seeks to provide data to enliven the interactions. A glaring example was the fuel strikes in January 2012 where there was a constant agitation among the protesters on the need to reduce the size of governance. BudgIT tracking the discussion via social media in 36 active hours quickly built an app that allows citizens to cut the Nigerian budget. 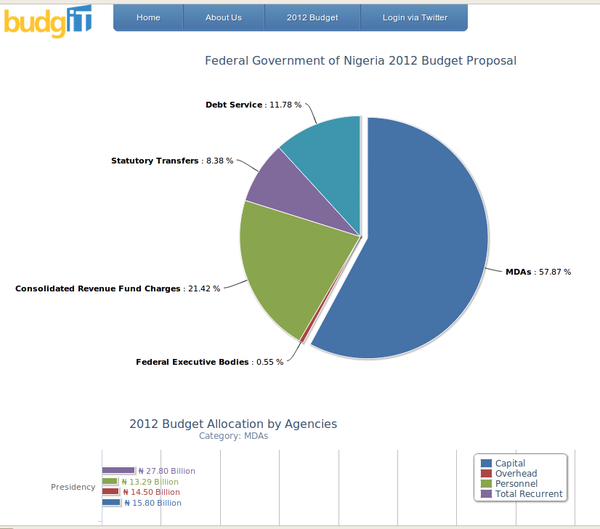 The huge response with over 3,000 users who interacted with the budget using the app refined our engagement model. We keep looking for trends in the polity and matching it with relevant data quickly rendered into tweets or infographic display that quickly extends our influence. Constructive feedback mechanism and Balanced outlook: Data speaks volumes and individuals subject it to personal interpretations. In the engagement with users, feedback is enabled through discussion boards or retweets. Most users throw up discussions that tend to ask about stories behind the data and seeking opinions of BudgIT. Its of utmost priority to ensure that opinions only explain the facts behind the data and does not conform to individual disposition to the subject matter. It’s most necessary to build up feedback channels and engage the users creatively to ensure the community built around the data is sustained. Localize Outlook of Data: For a dataset targeted at a particular group, BudgIT is building competency to localize its content and promote a channel of discussion that connects to the users. This involves taking a cultural outlook at the icons, symbols, objects and language to ensure that engagement concerning the budget flows seamlessly. This phase of engagement is with the grassroots who mostly don’t have access to Internet but only possess SMS-based mobile phones. After making the public expenditure data available in an easy-to-read format as shown on our portal (http://yourbudgit.com), we reach out to the citizens through the civil society organizations to ensure that citizens monitor capital projects in the budget. We also plan to develop a participatory framework where citizens and government institutions can meet in town halls to define key items in the budget that needs to be prioritized. Once we get citizens to be aware of capital projects in the budget and connect them with civil societies where BudgIT is not located, citizens can track report projects and report status. Ensuring that citizens of any literacy span are armed with data and possess a clear path to demand action, BudgIT is crossing the rubicon from open data to open action. Civil Service Organizations: a legally constituted organization created by natural or legal persons that operates independently from any form of government in the interest of civil society. Also commonly referred to as NGOs. a period of a defined length during which changes to a project can be made. Usually ends in a review meeting to plan the next iteration. eXtensible Markup Language: a markup language created to structure, store, and transport data by defining a set of rules for encoding documents in a format that is both human-readable and machine-readable.